Teeth whitening can be a confusing topic. This confusion can at best waste your time and money, or at worse damage your teeth. With our series on teeth whitening, we therefore aim to provide you with clear, correct, dentist-approved advice. Keep reading for an explanation of each of the above, or read our full range of content on our teeth whitening hub page. What exactly does “teeth whitening” mean? Given the term “teeth whitening”, you may expect a teeth whitening product or procedure to simply transform non-white teeth to white teeth. However, teeth whitening is not quite as simple as its name suggests. The term ‘teeth whitening’ is now used to describe both tooth bleaching (which must be carried out by a qualified dental professional) and stain removal, which can (sometimes) be achieved by over-the-counter products that you can buy online or in shops, but is best achieved by having a scale and polish at the dentist. From a technical point of view, stain removal and bleaching achieve very different things. One removes surface stains from teeth, the other bleaches teeth. A stain removal product cannot achieve the same results as a bleaching procedure. Stain removal products, such as toothpaste, strips and at-home whitening kits, can be bought online and in shops — we’ve written an FAQ on them here. Here in the UK, bleaching procedures or products need to be performed or dispensed by a dentist. The situation is different in the US, which we cover in more detail below. One of the first things to understand about tooth whitening is that results can vary significantly from one person to another. For some people (typically those whose teeth have not naturally yellowed with time), a stain removal product is all that is needed to return their teeth to their natural colour, which may be fairly close to white. For people whose teeth have naturally yellowed with time, a stain removal product is unlikely to work — a bleaching procedure will be required. Generally speaking, the younger you are the whiter your teeth will be — teeth naturally yellow with time. So in that sense, if you are young and have fairly white teeth with a few surface stains, a stain removal product should work fine. If you are older and have naturally yellow teeth that are also stained, removing the stains isn’t going to make much difference because they will still be yellow underneath. You would therefore need a bleaching procedure to whiten them. Regardless of your age, if you want teeth that are brighter than is naturally possible, you will need a bleaching procedure or product. Given the above, it’s safe to say whitening results vary from person to person. Stain removal products simply won’t work for some people. For others they do work to an extent. But companies that sell stain removal products often don’t make this clear to people. They can also prune their social media profiles and star ratings to only show the best results. Furthermore, they use advertising that misleads. The adverts for many stain removal products imply results akin to teeth bleaching, when realistically all they can do is (at best) remove stains. They show models using their products with teeth that are so white, the results could only have been achieved with bleaching. If you spend any time looking at teeth whitening on social media, you will likely come across people posting photos of themselves using whitening products — usually with something that looks like a mouthguard illuminating their mouth. As we’ve discussed above, these products may work to remove stains, but won’t bleach teeth. Something they can do is dehydrate your teeth. When your teeth are dehydrated, they are naturally whiter. However, as teeth rehydrate over the coming hours or days, the whiteness fades. If done regularly, dehydrating your teeth in this way can damage them, and actually cause them to yellow more. But for the sake of a social media selfie, these kits may well achieve its purpose — teeth that are temporarily white. This is only likely to work for someone whose teeth weren’t very stained in the first place, like a young teenager. You see mixed reviews for these products because some people do not really care how well they work. Their main objective is to use the product, get a photo for social media and carry on. This makes the product 5 star for them, but it can unintentionally mislead others who think they will see proper whitening results from such a product. And then to add even more confusion, there is a significant difference between UK and US products. When your teeth are bleached by the dentist, the hydrogen peroxide concentration can be as high as 6% (60 times stronger!). However, in the US the situation is different. Over-the-counter products can contain up to 10% hydrogen peroxide, which is even stronger than a dentist can dispense in the UK. These products therefore do have the ability to bleach teeth rather than remove stains, but they come with greater risks. Overall this means that teeth whitening strips (and other OTC products) that are legal in the US do a very different job to those that are legal in the UK. We have written more about whitening strips here. * Technically these could also be called bleaching products as they can contain a very small amount of hydrogen peroxide (up to 0.1%), but as mentioned it is not enough to bleach your teeth in the same way as a bleaching procedure, and their results will be closer to that of other stain removal products. The confusion created by the factors above can be further compounded by search engine results. This following is a breakdown of a UK Google search without cookies enabled, created at the time of publication in January 2019. The paid product ads at the top include both stain removal and bleaching products. It’s actually illegal for the bleaching products to be sold to a non-dental professional in the UK. 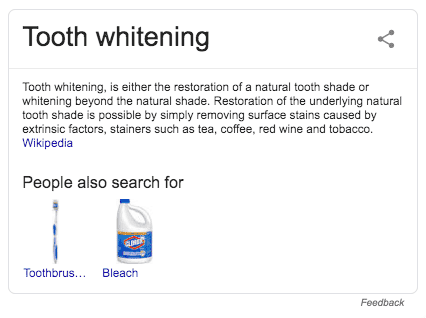 The organic results then offer a variety of pages referring to both bleaching and stain removal (although they all use the term ‘whitening’). It is these very kits that the next two results, from HiSmile and Boots, are advertising. These should really be referred to as “stain removal kits” as they cannot whiten your teeth in the same way that bleaching does. The other organic results are then a variety of sites talking about bleaching, or advertising stain removal products. The above results are created due to the fact that Google typically shows a variety of results for a particular search phrase. It is not the fault of the search engine, but rather the nature of the terminology. One way to fix the above issues would be to have tighter legislation around how products can be named. If over-the-counter products required a different name (such as stain removal) to dental procedures, it would help to clear up confusion. As we’ve mentioned above UK legislation is tougher than US legislation, and is gradually being amended to make whitening safer for the public. 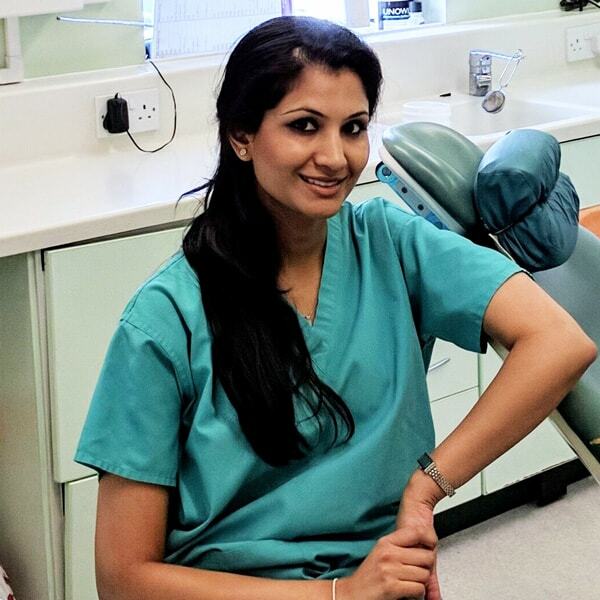 There have already been several cases of people permanently damaging their teeth by using illegal whitening products and services, so changes will be welcomed by dental professionals. 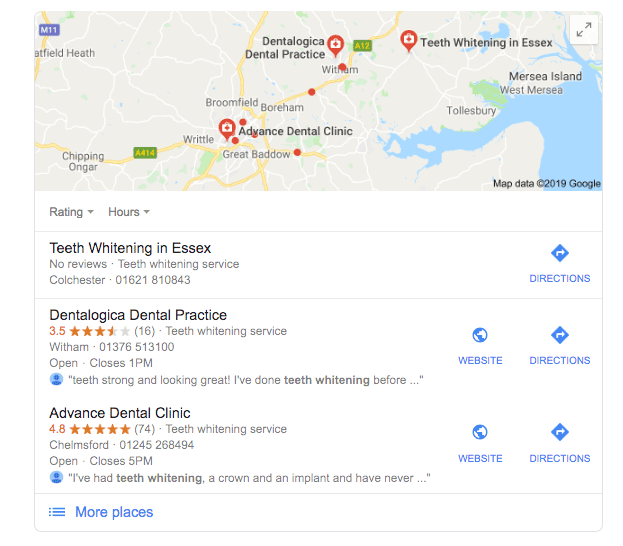 In the meantime, if you’re considering any sort of whitening product or treatment, we first recommend seeing our teeth whitening hub page.